When you’re going on vacation, knowing how to budget your money is one of the most important things. You have to know how much you can spend on the flights, on the car hire, on food, on activities, and of course, the accommodation. But what if you didn’t have to worry about money and see how the other half live? Well, even if you want to dream for a little bit, check out the 5 most expensive hotels in the world. You know, just in case you win the lottery. 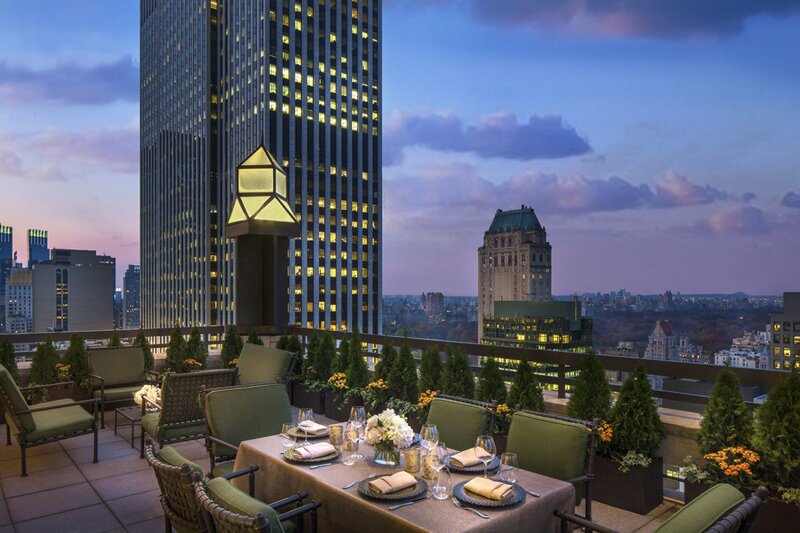 Not only is the TY Warner Penthouse at The Four Seasons one of the most expensive hotels in the world, but it’s also the highest hotel room in the city of New York! So you can expect one helluva view. The Penthouse will set you set you back around $45,000 a night – but there’s only space for three people, so choose your guests wisely. This penthouse houses its own ginormous library, your own personal art concierge, incredible furnishings, and glass paneled windows and walls to give you the best view in the city. The Sky Villa at the Palms Resort in Las Vegas is super popular with celebrities and singers – so you may have seen this infinity pool on their Instagram feeds! 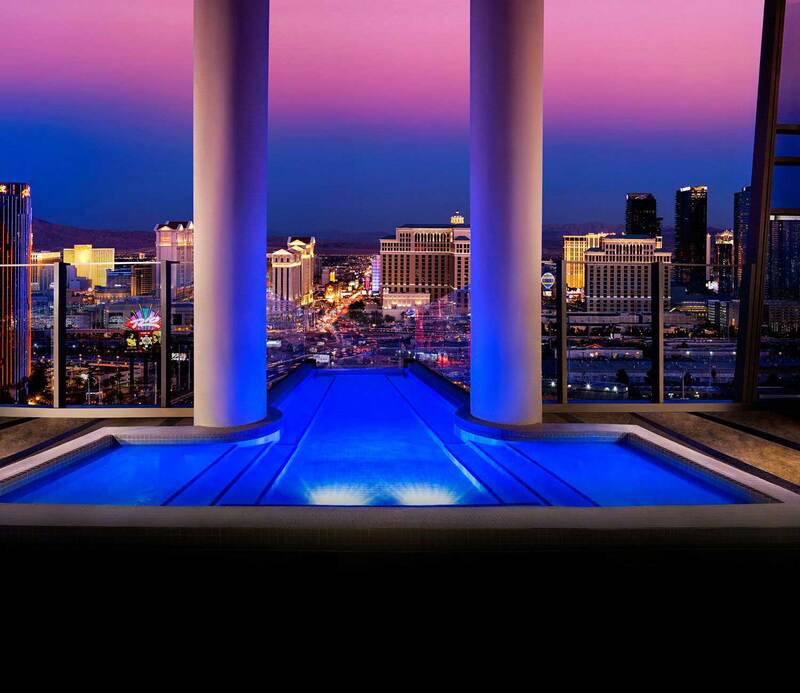 The Sky Villa will cost you a hefty $40,000 a night and for that price you get your own private elevator, a pool with the most incredible view over Las Vegas, 24-hour butler and waiter service and a dry sauna! The interior is also decked out in plush furniture and wide glass windows to check out the awesome view. There are a couple of Sky Villas at the Palms Resort, but the rich and famous tend to choose the Hugh Hefner Sky Villa. Of course. Dubai is notorious for being the playground for the super rich, so it’s no surprise one of its hotels is on this list. The Burj Al Arab is the epitome of luxury, as unlike other hotels, there is not one hotel room which borders on cheap. In fact, the Burj Al Arab only serves the richest clientele and only offers luxury suites. But if you are feeling a bit tight on cash, the cheapest suite comes in at $2,000 per night – with the most expensive rocking up to a bill of $12,000 per night, and this doesn’t take into account other fees and taxes! Because of the number of suites, this is one of the most expensive hotels in the world! This nightly price will also include helicopter, Rolls-Royce or Mercedes transfers, as well as your own personal butler for the duration of your stay. As if that wasn’t enough, the hotel also offers four incredible swimming pools and its own private beach. 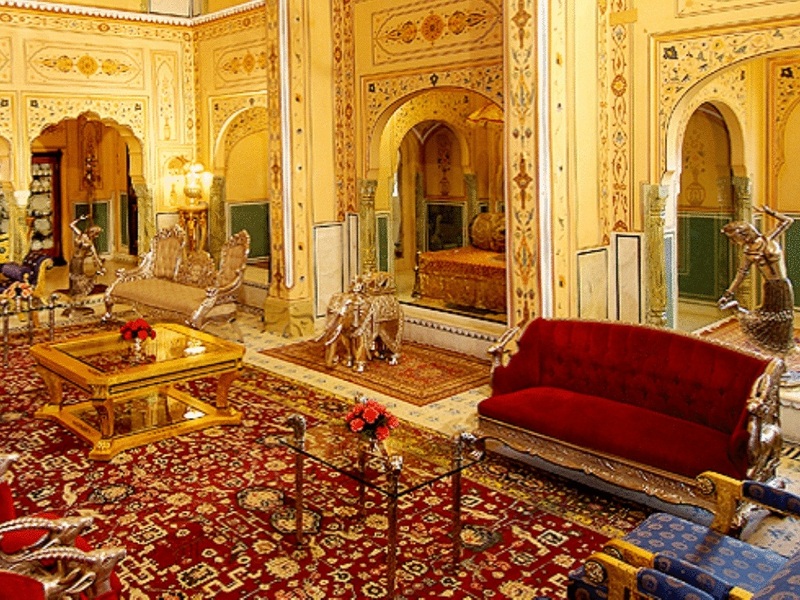 The Shahi Mahal Suite at the Raj Palace Hotel offers you the chance to stay in your own opulent palace for the night – if you have a cool $45,000 a night to spare. The hotel is particularly popular with royalty and the super rich, and the whole experience is lavished in luxury and gold. The suite itself comes with six large double bedrooms, your own personal library for the duration of your stay (the dream), a private movie theater and your own kitchen staff and waiters who are on hand 24 hours a day. 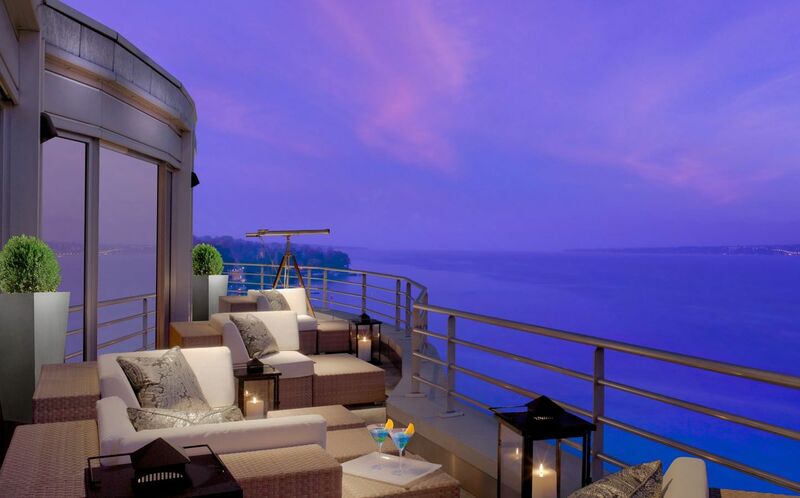 If you’ve ever fancied taking a trip to Lake Geneva and want to live the life of luxury, the Royal Penthouse Suite has everything you could possibly need – and more. At a whopping 60,000 Swiss Francs each night (which equates to around $68,000 a night) the Royal Penthouse Suite rocks in as the most expensive hotel room in the world! 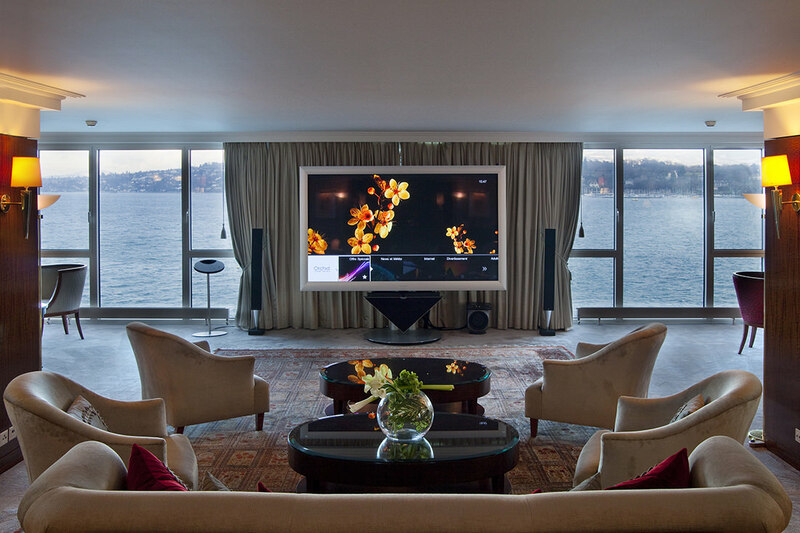 But you can’t really class it as a room, considering it offers 12 bedrooms and 12 bathrooms, a private gym, your own personal elevator, a pool table, an incredible Steinway Grand Piano and the best view of Lake Geneva in the world. What more could you want? So if you have a spare few thousand dollars to spare (we wish) why not take a trip to one of the most expensive hotels in the world?